Five Nights at Freddy's is the hit new game that everyone loves! for kids and adults. the hottest craze out there!! this character is sooo cute, yet sooo scary. This deluxe Five Nights plushie is a must have for all Five Nights at Freddy's fans, and would be the ultimate birthday or christmas gift. Please visit to Amazing Toy Store. We have large selection FNAF toys. 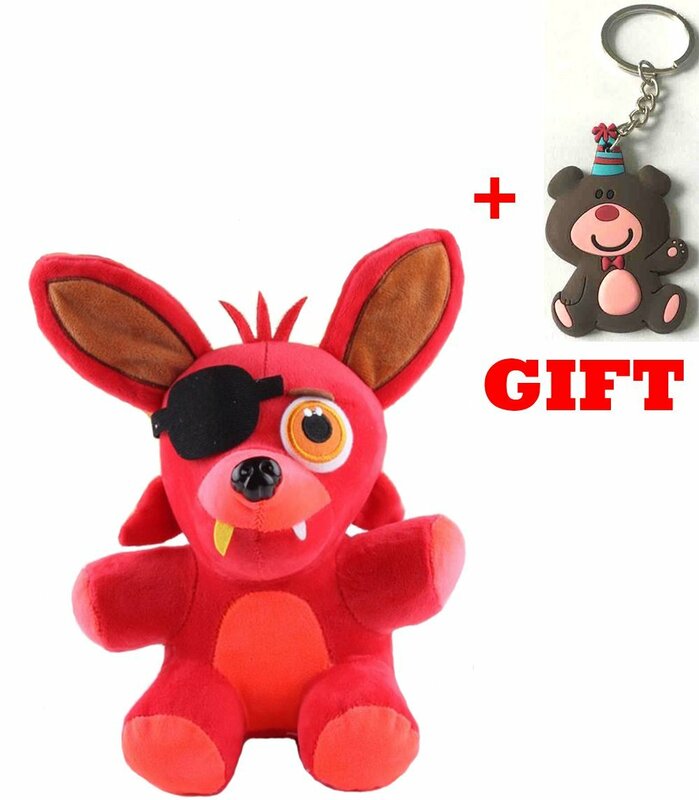 1pcs Five Nights At Freddy's 4 FNAF FOXY Plush Toy size:25 cm. Material:Cotton Plush. Package: PVC bag. Generally delivery takes 10-20 days aftershipment.+FREE GIFT with every purchase.Please visit to Amazing Toy Store. Wehave large selection FNAF toys.